Feast time in the Great Hall! Stack your plate with roast beef, chicken, casserole, and Yorkshire pudding! 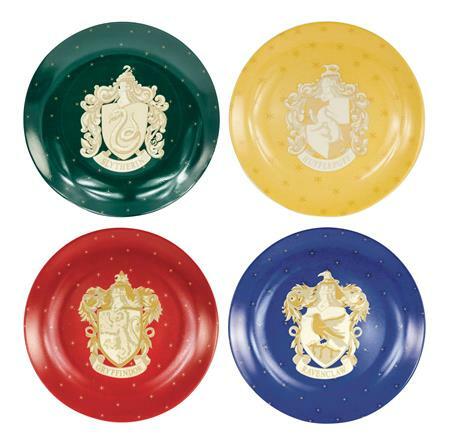 This plate set from Harry Potter features one for each house: color coordinated and complete with the house name, mascot and a design of wreath with stars. This ceramic 4-plate set is microwave and dishwasher safe. Available in 7' and 10 1/2' plate sizes.